Leonard leads Spurs to victory over GrizzliesKawhi Leonard led the Spurs with 29 points in their series-clinching 10396 victory over the Grizzlies in Memphis. Big Question: Who's the best referee? 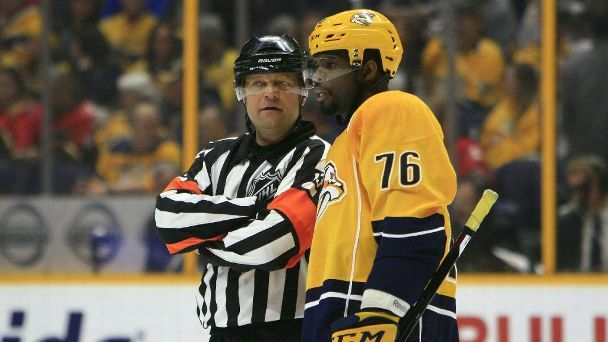 Hockey is considered, by many, the hardest game to officiate. So, with that in mind, we asked players around the league to name the best referees out there. Islanders LW Jason Chimera chats with Pierre LeBrun about the "do-or-die" nature of their season, the effect of the midseason firing of head coach Jack Capuano, what makes captain John Tavares' leadership style different and more.